Are of Tired of buying nail paints again and again because they dried after a few uses? OR you have been confused because you are not seeing that exact shade you looking for? It was my story for long until i found a great alternative for nail paint. Keep your fingers crosses because I am about to divvy up with you alternates of nail polishes so you can experience limitless fun with your nails. The most common and traditional way to paint your nails is typical nail polish with that attached brush on the cap. Without creating much surprise let me tell u the alternate which i am using, its Acrylic Paints.Ever heard of acrylic paint to polish the nails? Well, today I'am going to explain how can you use acrylic paints on your nails. 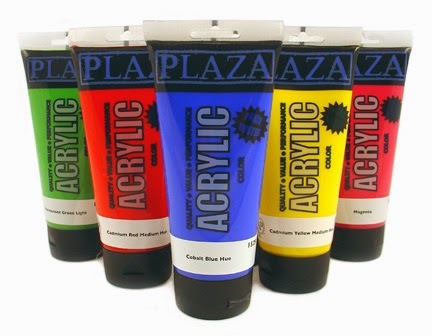 "Acrylic paint is fast drying paint containing pigment suspension in acrylic polymer emulsion." 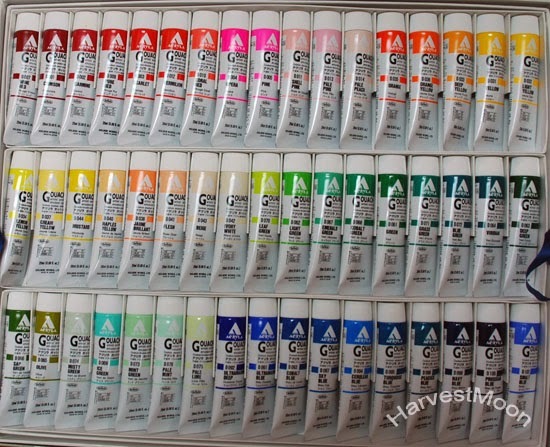 You can go out and buy white, black and red acrylic paints and depending on how much of each color you add, you can make hundreds of different shades of light to dark reds/pinks. Where as, if you were to purchase all of those in nail polish, well, it can get pricey. And the best thing is that you can buy it at every craft/stationery store.You can just buy it in the primary colours, neon, even glow in the dark and you and mix it to any colour of your choice. Changing the consistency of acrylic paint is also a lot easier. By adding water you can thin out the paint and make it a lot easier to work with than sticky nail polish that can start to dry as you are working with it. It’s also ten times easier to rinse out brushes, just a quick swirl in a cup of hot water and it’s clean. Not to forget one of my absolute favorite reasons for using it, ZERO SMUDGING! Nothing is worse than finishing a nail art design and then top coating it and completely ruining it by smearing the nail polish over the entire design. Because acrylic paint dries quicker and differently, it won’t smudge. Also the paint dries fast and is non-toxic. To apply acrylic paint on your nails you need to use a base coat. Acrylic paint is highly pigmented and might stain your nails (it never stained me though). When a base coat is applied and dry, you can apply acrylic paint with just regular small paint brushes. You can buy these brushes in any craft store. 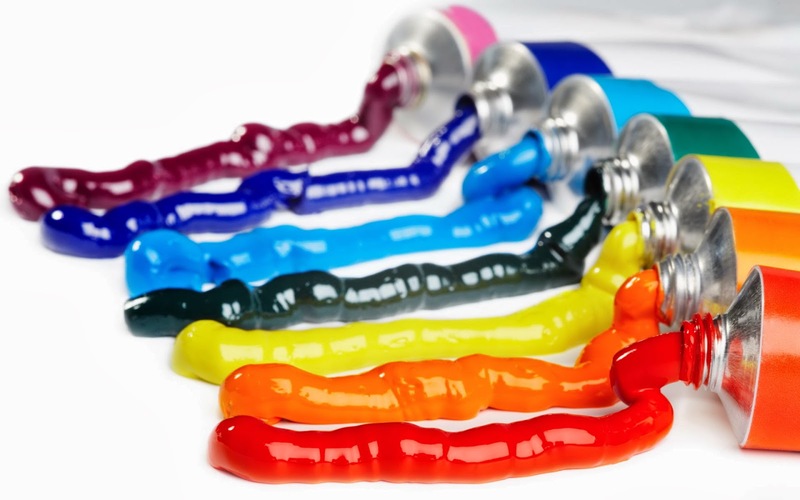 When you paint with acrylic, you will see the paint get dry and give a matte finish. After painting the nails with acrylic paint, you need to use a topcoat. Acrylic paint will chip fast. 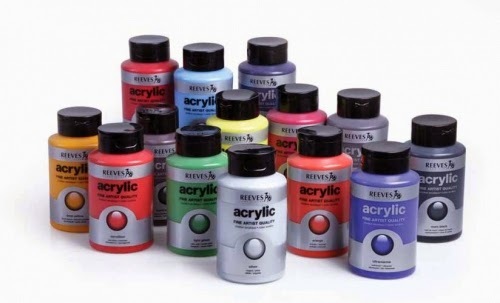 To remove the acrylic paint you can just use a regular nail polish remover. Did you know you can also use other products to paint the nails? Have you ever tried acrylic paint as a polish ? If Yes, how do you like it? If No, would you ever consider to try acrylic paint as nail polish? If there are any question, please, feel free to ask them. Click Here to check what i created using acrylic paints.